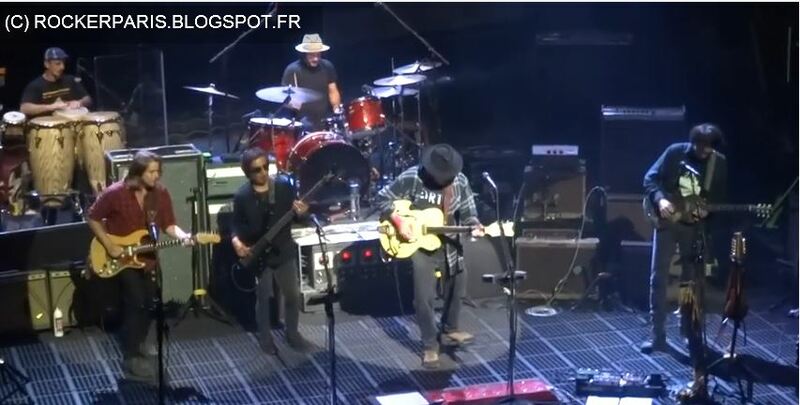 Mystery surrounds the private show Neil Young and Promise of the Real performed in Paris the evening of Jan. 25, 2016. According to UNCUT the event at Theatre Mogador was hosted by Carmignac, who describe themselves as “one of the leading asset managers in Europe” on their Twitter feed. 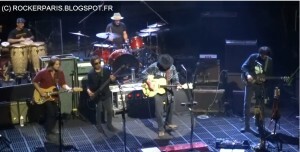 And apparently billionaire Eduardo Carmignac joined Neil & musicians on stage. Among the surprises in Young’s set the After the Goldrush track “Til the Morning Comes” made its live debut, 46 years after the album’s release. Another cut from the same album, “Cripple Creek Ferry,” was played for the fourth time only, and the first time since 1997. Neil Young and Promise Of The Real have announced a batch of UK tour dates as part of their Rebel Content tour. Young announced he would play Belfast (for the first time ever) and Dublin, as well as shows on mainland Europe – Leipzig on July 20 and Berlin on July 21. The itinerary has now been expanded to take in Glasgow, Leeds and London.